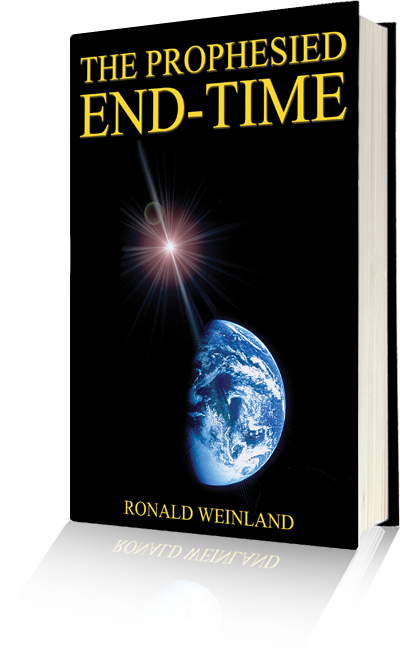 Authored by Ronald Weinland, The Prophesied End-Time and 2008 – God's Final Witness, will challenge readers as they consider catastrophic end-time events that are now prophesied to begin. Although many will not take seriously what is written here, they will gradually experience disbelief and horror at the events covered in these books as they begin to unfold. Both books are offered free of charge. The year 2008 marked the beginning of God’s last warnings to mankind and that warning witness ended on Pentecost May 27, 2012. God’s final countdown for man’s self-rule has already begun and that rule will end soon on an annual holy day of Pentecost. On December 14, 2008, the First Trumpet of the Seventh Seal of the Book of Revelation sounded, which announced the beginning collapse of the economy of the United States and great destruction that will follow. The next three trumpets will result in the total collapse of the United States, and once the Fifth Trumpet sounds the world will be thrust into WW III. 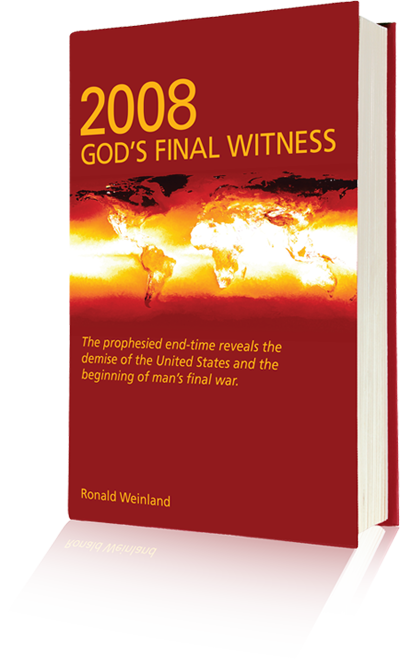 The Prophesied End-Time will challenge readers as they consider catastrophic end-time events that are prophesied to begin very soon. Although many will not take seriously what is written here, they will gradually experience disbelief as the events covered in this book begin to unfold.